The iPhone SE has been added to the roster of products in Apple's online Clearance section again, following after a very brief appearance of the smartphone on the page in January. All three models offered in the store are being sold at a discount of between $100 and $150, depending on capacity. The Gold-colored model is being sold with a 32-gigabyte capacity, priced at $249, while the Space Gray and Silver options are available with 128 gigabytes of storage and cost $299 each. All three models are being offered brand new and unopened, as well as unlocked to be used with any carrier. 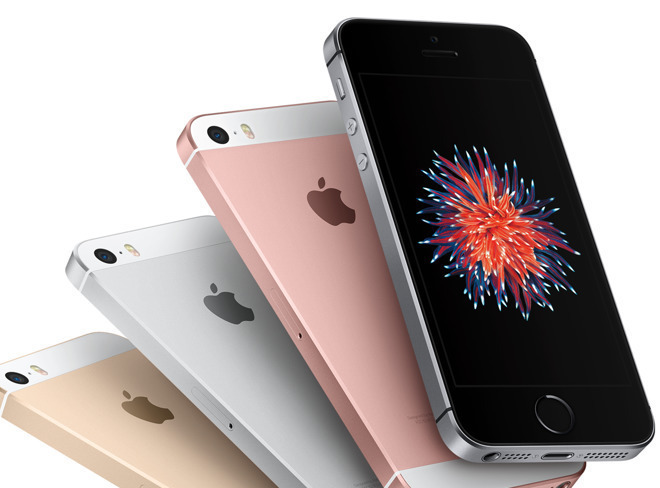 The previous appearance of the iPhone SE on the Clearance page was brief, with the options disappearing from view within 48 hours of availability. It is unknown how long the iPhone SE will be available to buy this time, as it depends on Apple's stock levels, but it is likely to last for a few days. The iPhone SE is a more compact model than the others currently offered by Apple, equipped with a four-inch display with Touch ID and powered by an A9 processor. Apple discontinued sale of the model in September, alongside the iPhone X, iPhone 6S, and iPhone 6S Plus. There have been rumors of a second-generation iPhone SE, but so far there doesn't appear to be any sign it will be unveiled by Apple anytime soon. Not everyone will agree. But in my opinion this is the best iPhone form factor ever. If you like small form factor phone and want to use or keep in stock/backup, good to grab it now. In future, there won't be smaller screen iPhones ever. for a small factor, I agree. However, as fas as design goes, I think the iPhone4 was the best, followed by the iP5. Will this get the iOS 13 update? Is this like the 3 or 4th time that these "clearance" units have been shown for sale ?? Why doesn't Apple get whatever inventory that is left and just put it on all at once until every last one is bought up ?? The best form factor is CHOICE - that is why they should re-invent the smaller phone while keeping the larger phones. Not too hard to figure out is it ? Given that the fifth generation iPad from 2017 had the same A9 processor and the same amount of RAM, I'd say probably yes. I ordered a 32 GB silver SE a couple of weeks ago for no particular reason (nostalgia, perhaps?). My current phone is an XS Plus while my previous phone was a 6S Plus. I hadn't realized how HEAVY and clumsy the Plus-sized phones are until I pulled the dainty, feather-light, lilliputian SE out of the box. I like it, though, as a throwback to simpler times and may move my SIM card over and ditch my bloated and unnecessary XS Plus. Yeah I’d agree. If the 5 Had been slightly wider it would have been a more balanced design. There’s a tipping point that one has to protect against when using it with one hand. The 4 was perfectly sized and balanced in the hand. The 4 & 4S were like Leica cameras. 5,5S & SE are like modern Leica cameras. I love. Yes. love my iPhone SE. I plan to use it until software updates come for it. I even replaced my battery at an AASP a week ago. I used the 6 Plus before, but as iPads have gotten more affordable I will be getting an iPad before a larger iPhone. I really hope Apples design team hasn’t forgotten the fact that people’s hand sizes have not increased exponentially. The iPhone growth market is over. I believe in the future Apple should make the BEST edge to edge iPhone within the iPhone SE like form factor. I will get it even if it gets Liquid Retina and $550-650 price point. Yes, fill in market gaps to expand sales. I also agree with the small phone/iPad strategy. Works for me. I had a 4s and it was nice. I had a 5s and it was nicer. I managed to grab a silver 128G SE and it's the nicest yet. Except the chamfered edges aren't polished. I miss that touch. And I'd grab one of those, if it ever comes to pass. Otherwise I'll probably have this SE for 5 years or more. Tyler may mean the iPhone 7+ is worth more now than today's price of the SE, not that the 7+ is worth more than buying 7+ new. I got the SE for $270 (including tax) and I have the 128GB 7+ factory unlocked plus otterbox case and apple leather case original box apple stickers etc. included. based on other craiglist and ebay ads I can probably get around $450 for it. A pretty decent profit considering I'm getting a brand new phone with new 1 year warranty to replace it.